L.A.-based director Cutter Hodierne makes his Sundance debut this year with a short film on Somali pirates, told from their own perspective. The film comes a few years after all the media attention that happened regarding piracy off the Somali coast. Not unfamiliar with life at sea, Hodierne spent the first three years of his life sailing in the South Pacific Ocean on a 32-foot sailboat. Not much more is known about the movie at this point but the trailer looks exceptional. We will definitely be hearing more about this director. to Sundance with his sophomore feature-length documentary entitled China Heavyweight. The documentary follows Chinese athletic coaches as they scout the poor, rural areas of southwestern China for undiscovered boxing talent. The young boys and girls are rounded up and put through an intensive training program with the goal of representing their country in the Olympics in mind. In the meantime, their coach, Qi Moxiang, trains for a fight of his own. In 2008, Richard Bates Jr.’s short-film Excision won a total of 24 awards and was screened at film festivals around the world. 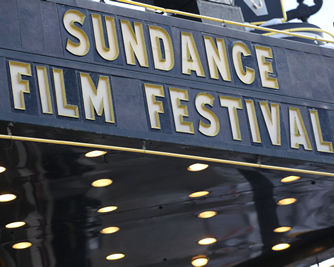 This year’s edition of Sundance will be showcasing the feature-length version of the film. AnnaLynne McCord plays troubled teenager Pauline, whose bizarre behavior and psychosexual fantasies lead her to become the outcast of her school and home. Her younger sister Grace is the only person who understands her. Things take an even weirder turn when Pauline decides that it is time for her to lose her virginity. Danish-born director Mads Matthiesen brings his fist feature-length to Sundance this year. Teddy Bear explores the paradox in between champion bodybuilder Dennis’ impressive physical stature and his social ineptitude. Dennis travels to Thailand, embarking on a personal quest to overcome his insecurities and fears. Saili is a little person who lives a happy life with his wife and stepdaughter, working as a taro farmer in a small village. When his family and plantation are threatened, he must defend them. The Orator studies the complexities of life in a village where tradition is the main existing form of law. Tusi Tamasese’s first feature is also the fist Samoan feature film; it is New Zealand’s entry in the foreign language category for this year’s Academy Awards. With his sophomore feature-film and second Sundance appearance, director Joachim Trier explores a day in the life of Anders, a recovering drug addict. Anders earns a day out of rehab and heads down to Oslo to visit his sister and old friends, facing the big city’s temptations yet again. Oslo, August 31st examines a defining chapter in a young man’s difficult transition to adulthood. Dylan Southern and Will Lovelace document the final 48 hours in the career of influential New York band LCD Soundsystem. The fly-on-the-wall music documentary leads up to the band’s final performance, last year in New York’s Madison Square Garden. This is the directing team’s second feature-length, after 2011’s No Distance Left to Run, a documentary on British band Blur. Indie Game: The Movie follows the lives of four independent video game developers in their struggle to create and survive, far removed from the offices of major video game developers. Though both Pajot and Swirsky are no strangers behind the camera, Indie Game: The Movie is their first feature-length documentary. ½ Revolution closely examines the tumultuous start to Egypt’s revolution early last year, as demonstrators took to the streets and clashes ensued. Shargawi and El Hakim promise an inside look at the historical events that helped pave the way for change in Egypt. For a complete guide of films and events happening at this year’s festival, as well as information regarding lodging, festival passes and tickets, please visit Sundance’s official website.